Gastric cancer remains a major cause of cancer death worldwide. The discovery of Helicobacter pylori Helicobacter pylori and its association with gastric cancer has opened up new insights into its pathogenesis. Gastric cancer pathogenesis is the result of a complex interplay between bacterial, host and environmental factors resulting in a step wise histological progression to neoplasia. H. pylori is a major factor in the early stages of cancer development and the mechanism of action of its virulence factors are being steadily unravelled. It is also now recognised that host genetic polymorphisms also play a complex role interacting synergistically with the bacterial virulence factors. 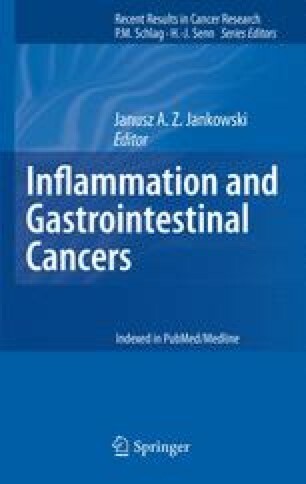 The role of H. pylori in the causation of gastric cancer also raises the possibility of cancer prevention through screening and eradication, actions which may improve outcomes in high risk populations but which may not be cost-effective in areas of low risk. Ultimately, despite the vast improvements in knowledge, as yet there has not been a corresponding improvement in terms of gastric cancer survival rates.